After Miroslava Duma, Uliana Seergenko, Christine Centenera, Victoria Beckham and Giovanna Battaglia, today I want to introduce you to a gorgeous redheaded Icon, Taylor Tomas Hill. She's the style and accessories Director for US Marie Claire magazine; Prabal Gurung's muse, model body, red hair, chunky accessories and a particular style; She defines herself "a clothing chameleon" because her style is always changing and evolving. Her favourite brands are Proenza Schouler and Rick Owens, she loves her Burberry trench coats, YSL heels and Chanel 2.55 bag. Altough, she likes mixing and matching expensive items with more low cost ones, Topshop and Zara are among her favourites unexpensive brands. Her style is appreciated everywhere, womens all over the world copy her outfits; and you? What do you think about her? Dopo Miroslava Duma, Uliana Seergenko, Christine Centenera, Victoria Beckham e Giovanna Battaglia, oggi voglio presentarvi una meravigliosa Icona dai capelli rossi, Taylor Tomasi Hill. Direttrice di Marie Claire US, musa di Prabal Gurung, fisico da modella, capelli rossi, maxi accessori ed uno stile unico; Lei stessa si definisce un " camaleonte dell'abbigliamento " perchè il suo stile è sempre in continuo cambiamento ed evoluzione. I suoi marchi preferiti sono Proenza Schouler e Rick Owens, ama i suoi trench di Burberry, i tacchi di YSL e la celebre 2.55 di Chanel. Nonostante ciò, ama mixare capi costosi con altri più economici, Topshop e Zara sono le sue catene low cost preferite. Il suo stile è apprezzato ovunque, donne di tutto il mondo copiano i suoi look; e voi? Cosa ne pensate? Last chance to enter my Swarovski pen giveaway on www.luxessed.com! I'm following you right now on Google Friend Connect #263 & Bloglovin #35. hope you can follow me!!! I love her style! And more the idea of mixing expensive with low cost clothes! I think that calling her a chameleon is just right! Her style is so different in most of the photos! I didn't know her, but she's definitely stylish! Thanks for sharing, you run an amazing blog! Stile fantastico...bellissime foto da cui prendere ispirazione!!! Oh yeah! I absolutely love her! She's got the most amazing style! 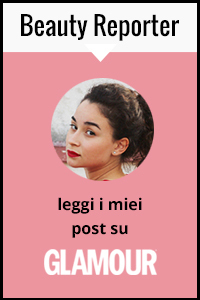 Sei stata carinissima a cominciare a seguirmi, e ricambio subito! I absolutely love her! Her sense of style is AMAZING. she is unspeakably awesome! I LOVE redheads sooo much. she is so inspiring.